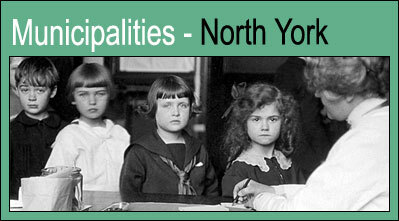 North York was founded as a municipality in 1922. By 1923 it had created a Board of Health and appointed a medical officer of health, Dr. Carl E. Hill, and one sanitary inspector. The board dealt with a wide range of issues, including a milk by-law to ensure safe milk, sanitary inspection of schools, water quality testing, monitoring communicable diseases, and regulating slaughterhouses and factories. The board was in close contact with the Provincial Board of Health, relying on it for advice and requesting the use of its staff and services. As with the other suburban municipalities, water supply and wastewater disposal became important concerns as farmland was developed into villages and towns. Several times during the 1930s, the board advised the township Council to build water mains to service streets where the population was increasing. Conflicts between existing farms, homes, and factories of the suburbs led to further action by the medical officer of health. For example, he refused a permit for a couple to start a chinchilla farm, and investigated complaints that factories were causing air or noise pollution, or contaminating waterways. By the time Dr. Hill retired in 1965, after over 40 years on the job, North York had a full public health program.